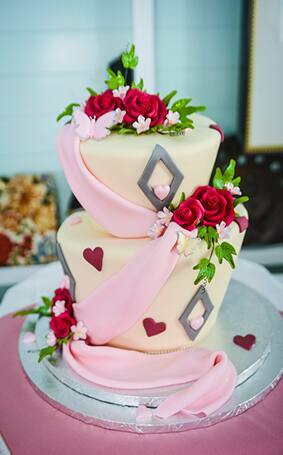 Just in time for Valentine's Day, this week's Wedding Cake Wednesday is a sweet treat that's most definitely pretty in pink. 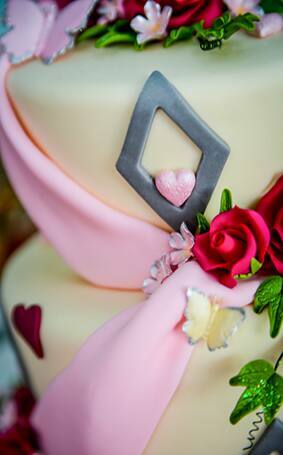 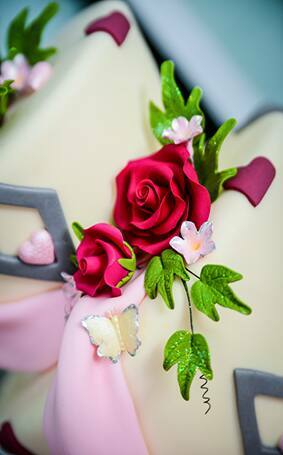 Adorned with classic red roses, a pink sash and hearts a flutter this Mad Hatter embodies whimsy. 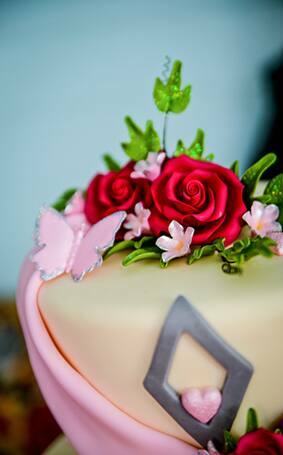 And if you look closely, this cake may just give you "butterflies".